CHENNAI: The case of serial chain-snatching incidents, in which a 55-year-old Srinivasan alias Burma Srinivasan from Korrukupet who had been involved in the crime for over 20 years, was arrested, was solved with the help of the Facetagr application, which was introduced by the State police. The only clue the police had in this case was CCTV footage in which the same person was spotted snatching chains in the incidents reported at Valsaravakkam, KK Nagar and other parts of the T Nagar police district. “Since he already had cases registered against him, his photo was stored in the database. And the CCTV footage was processed through the ‘Facetagr’ application and the suspect was identified in 150 milliseconds,” said P Aravindan, Deputy Commissioner of Police, T Nagar,The app was introduced in the T Nagar police district in October 2017. “This app is used not only for image recognition but also for videos. CCTV footage with decent quality (approx the image of the face should be 100 pixel) can be loaded in the software and will be processed and compared with the images in the database and the match results are shown in 150 milliseconds,” said Vijay Gnanadesikan, director, Haliscape Business Solutions Pvt Ltd, who developed the Facetagr. He said the CCTV can be connected to track faces real time or also upload the footage and detect the faces. So far, the Chennai police are using it and the Coimbatore police have started using it. Going one step ahead, the police have extended the app to neighbouring States. “So far, there are around 67,000 photos of history-sheeters and photos of offenders are uploaded in the app with the help of the state Crime Record Bureau. 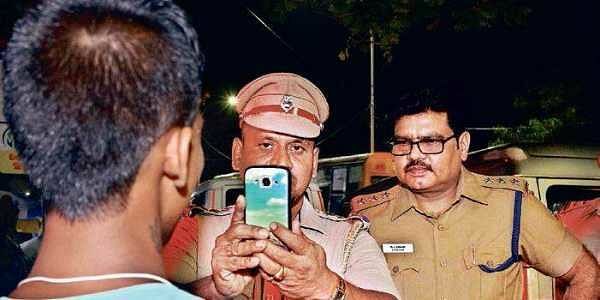 Another 8,000 photos of offenders have been added from Puducherry and the number will soon reach 1 lakh with the images from Andhra and Telangana, Kerala and Karnataka,” Aravindan added. Asking about the privacy of the public, the Deputy Commissioner said police personnel who have access to the app are instructed to use it only when they have reasonable suspicion. And only a few police personnel in every station have access, he added.